The commitment of Walker Tool and Die to utilizing state of the art technologies and equipment has been critical to our success. Walker has always placed a high priority on reinvesting into the business. The net result is a shop with the most state-of-the-art equipment from engineering systems to manufacturing technologies. 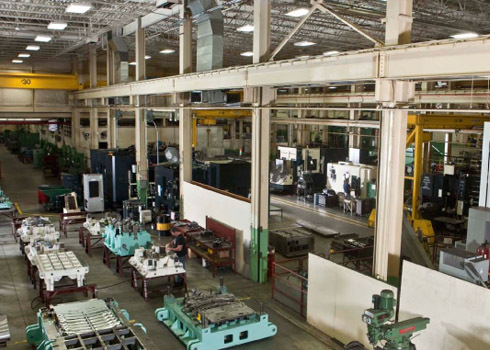 The commitment of Walker Tool and Die to utilizing state of the art technologies and equipment has been critical to our success. Walker has always placed a high priority on reinvesting into the business. The net result is a shop with the most state-of-the-art equipment from engineering systems to manufacturing technologies. We have all the technology under one roof therefore eliminating the outsourcing many of the manufacturing processes and providing less delays and a higher degree of on-time delivery. From die design, die simulation, machining, wire/EDM, laser and part validation, we provide the latest technology to ensure our customers total satisfaction.